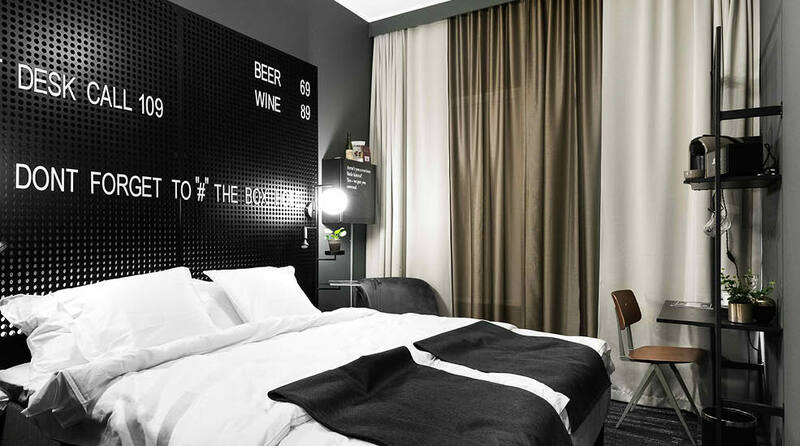 Quality Hotel The Box in Linköping is all about enjoyment with lots of social spaces and a focus on a great guest experience. The hotel has a range of great facilities including a restaurant, bar, gym and spa. This is a cash-free hotel. Quality Hotel The Box is a newly built hotel in Linköping that is conveniently located just 2.5 km from the bustling city centre and within easy reach of Linköping City Airport, the E4 motorway and the Linköping Arena. The hotel offers modern and charming accommodation. No matter which room category you choose, you'll have everything you need for a wonderful hotel stay. The hotel's conference centre has three conference rooms that can accommodate up to 170 people. We have invested in modern technological equipment and we always make sure to take care of all the practicalities. We can host a range of events including business lunches and large conferences. The hotel's restaurant and bar on the ground floor are popular hangouts for both hotel guests and locals. The menu is a celebration of traditional Swedish fare with an international twist. You can even enjoy lunch here during the week. Follow us on Instagram or Facebook to view our weekly lunch menu. Pre-ordered meals for conference guests and large groups are also served in the restaurant. Our healthy and delicious breakfast buffet is served in our restaurant every morning and includes a great selection of organic produce. Choose from scrambled eggs, boiled eggs, prinskorv (Swedish prince sausages), bacon, sausage, bread, filmjölk (Swedish sour milk), cereals and much more. Quality Hotel The Box is cash-free. This provides a safer working environment for our staff as it reduces the risk of theft and burglary. More information about this can be found under FAQs. At Quality Hotel The Box you will also find a bar, which is the natural meeting place for both guests and locals. Come here to work, enjoy a cool cocktail, have a drink before a hockey match or chill out after a concert at one of the local venues. You can look forward to an innovative bar concept inspired by the world's largest cities, where you can enjoy the hotel's signature drinks as well as much-loved classics. The hotel has a unique 600 sqm spa - The Wellbox - that features a pool with champagne bubbles, as well as an outdoor pool, Jacuzzi, footbath, steam room and dry sauna. Please make sure to book your entry to The Wellbox well in advance as it is extremely popular. You can view prices and opening hours here. Do you prefer to exercise outdoors or indoors? At Quality Hotel The Box, you have the choice of both! Here you will find two fully equipped gyms, one inside and one outside. You can also try a challenging running track (1.5km) near the hotel. There is free parking for all our guests at the hotel. Bus no. 13 from Resecentrum in Linköping, bus stop Masugnen (5 min walk to the hotel); travel time by bus: 11 minutes. Linköping City Airport is 1 km from the hotel.